This paper reports on experience in various methods of reconstructive and palliative surgery in 50 patients and discusses the problems of establishing a diagnosis. The clinical symptoms are decisive; the conclusive indication for surgery is the detection of a hemarthrosis. 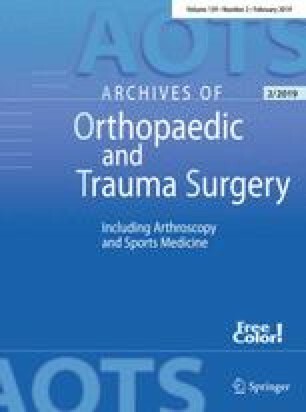 Persistent cartilaginous defects in chondral or osteochrondral fractures will lead to the development of secondary arthrosis of the knee joint. Therefore, we emphasize immediate surgical revision of the injured joint. The results obtained in this way are good, especially in younger patients.